For the past few months, there have been some incredible photos on social media of the murmuration of starlings around the UK. So last weekend, I did some research to find out what the murmuration is all about and when and where to see it. Every day at sunset, the murmuration takes place as starlings come in to roost. Flocking together in their thousands, the birds perform a breathtaking aerial display. At first glance, a few starlings swoop around the sky. Then moment by moment, they are joined by more birds. Gathering momentum, they form a flock and fly together. At first, they may look like a ball in the sky. Then, the patterns start to form. Swirls, circles, lines, twists and turns. As the sun sets and darkness starts to fall, the starlings swoop down to roost and the display is over. You can also see starlings taking off en masse at sunrise, but the murmuration only happens at sunset. 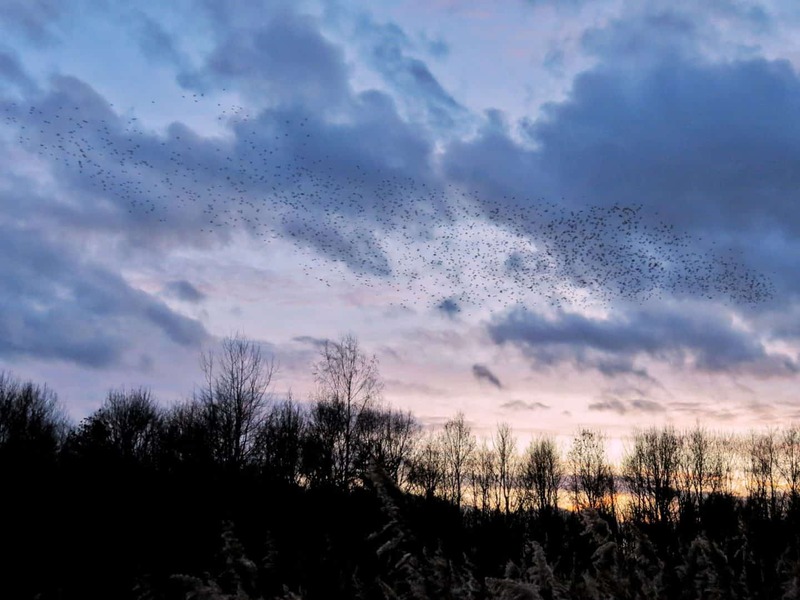 What time of year does the murmuration take place in the UK? Starlings begin to roost any time from September to November. Early in the season, the murmuration may be smaller. As time goes on, more birds gather at roosting spots and the flock becomes larger. They may only remain at their favoured roost for six weeks. Frequently though, they’ll stay for most of the Winter, only departing in February. The murmuration doesn’t take place every evening. 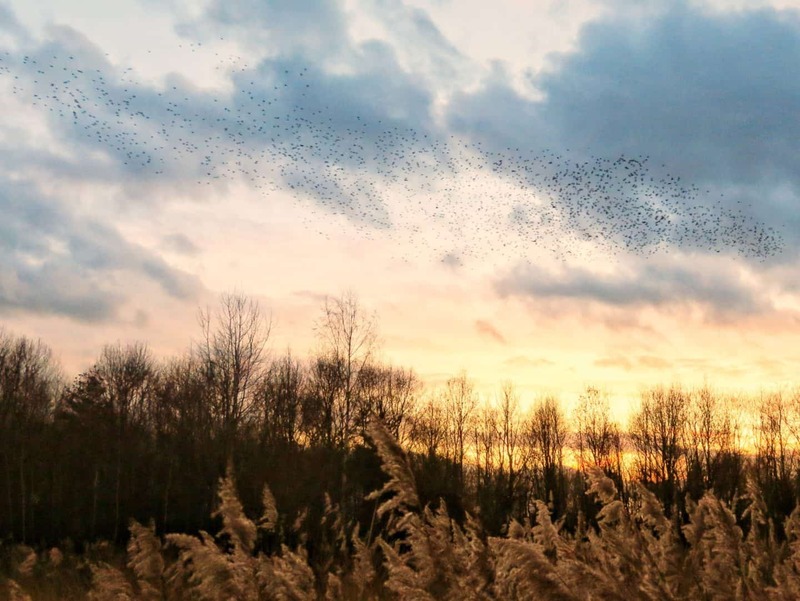 Nobody knows why the starlings choose to perform their display on some days and not others, but it is worth being aware that going to a place where starlings are roosting doesn’t guarantee that you will see them displaying. 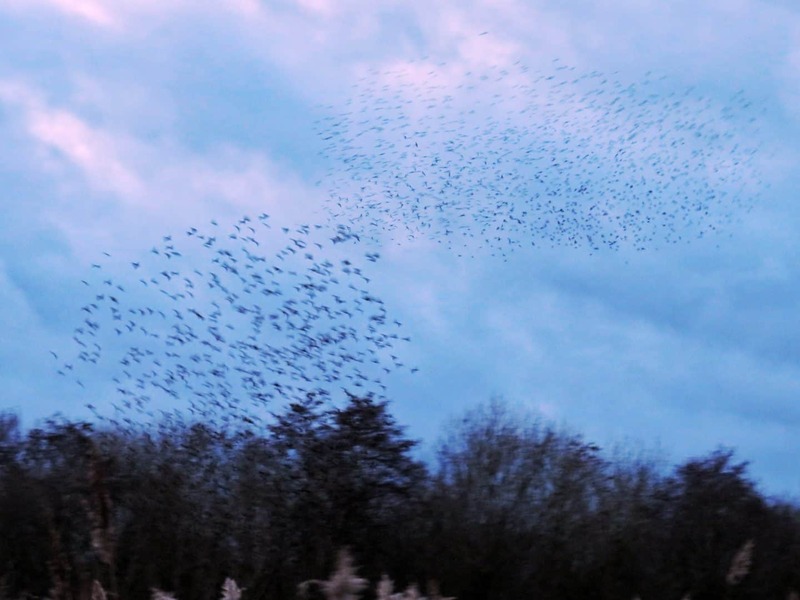 Where can you see a murmuration of starlings? 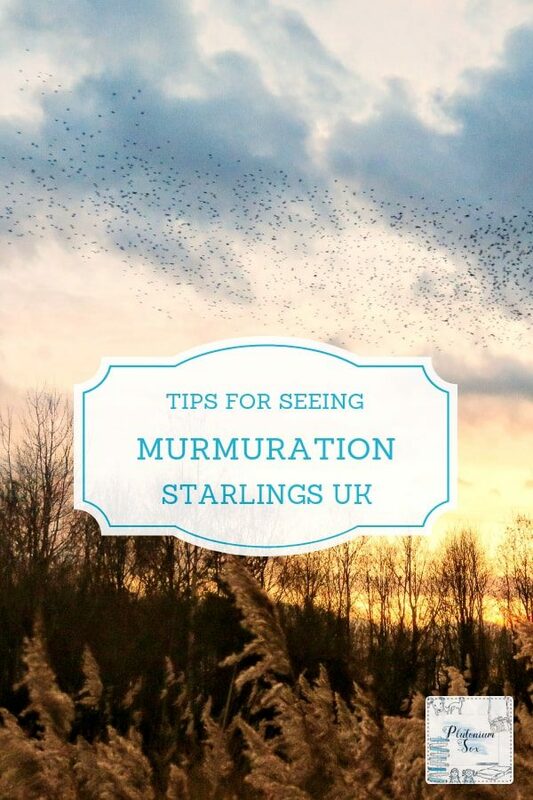 Throughout most of the UK, you don’t need to travel far to see a murmuration. Starlings roost mainly in rural areas these days, but even in cities you may be able to witness this spectacle. One of the most incredible places to see it is in Brighton where many thousands of starlings roost on the pier. Instagram is full of stunning photos and videos from there at the moment. Wherever you are based, have a look at the roost location map to find your nearest starling roost. Whilst you’re not guaranteed to see a murmuration every evening, if you have the patience it is well worth going to have a look. 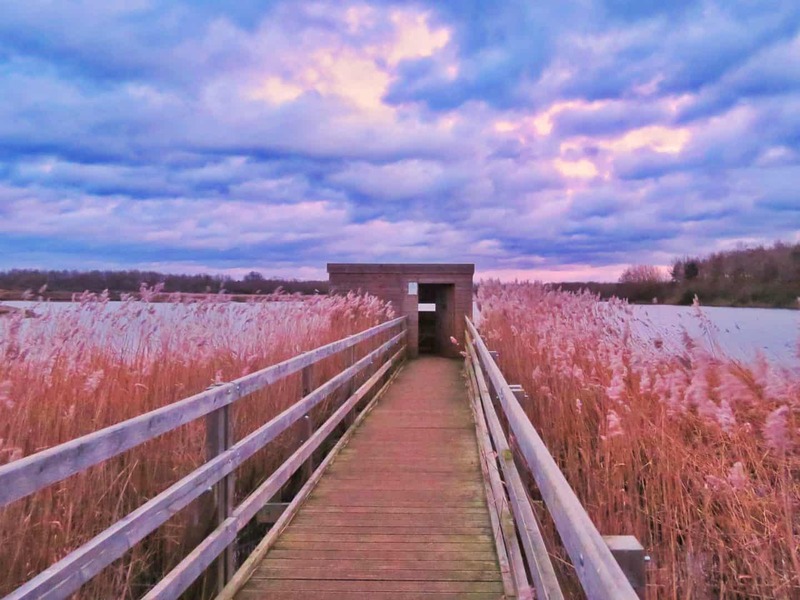 We went to see the murmuration at Kemerton Lake Nature Reserve. It’s a beautiful location in the West Midlands and until last week I had no idea it was there. I’m sure we’ll be revisiting during the spring and summer to see other wildlife. What equipment do you need to see a murmuration? The murmuration can be seen without any equipment. In fact if you’re in the right place at the right time, you really can’t miss it. As you can imagine, there may be a lot of people around and there’s no guarantee as to what time it will take place. So, wrap up warm and aim to be parked and ready to see it around an hour before sunset. A camera isn’t a necessity but if you are a keen photographer, you’ll get some lovely photos. It’s worth taking a camera with zoom in case you’re not standing close to where the murmuration takes place. I managed to grab a very short video. I was filming for a lot longer, but it is somewhat difficult to get particularly impressive results whilst holding an over-excited six year old. For more information about starlings, have a look at the RSPB website. Love this! I realise haven’t seen one yet this winter. I only ever see fairly small ones, but even they are impressive. I used to see them a lot in Gloucester city centre as I was walking back to my car after work. Oh that’s fascinating, I had no idea you could see them in Gloucester city centre. I’d be interested to know where they roost around there!